which restricted Mr Rimšēvičs from exercising his duties. well beyond the EU legal order. 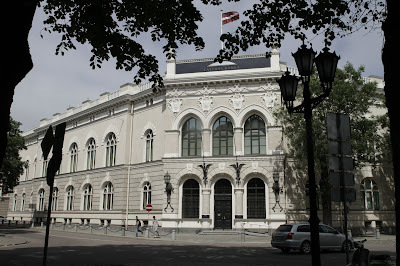 duties within the Central Bank of Latvia. Central Bank to exercise his EU (and national) duties. the day on which it came to the knowledge of the latter, as the case may be. by which the Governor of the national bank of Latvia was “relieved from office”. measure adopted against the central banker. regards independence and accountability of the Governors of the National Banks. by the ESCB statute. Surely this is not something that can be accepted or justified. Court to extend its power to annul a national decision is surprising, at least. CJEU in order to safeguard it.